Well yes we can provide the length while declaring a Float data type, al though it is not compulsory. If you do not specify the length then SQL Server by default take that as FLOAT(53). and, therefore, dictates the precision and storage size. If n is specified, it must be a value between 1 and 53. 1. 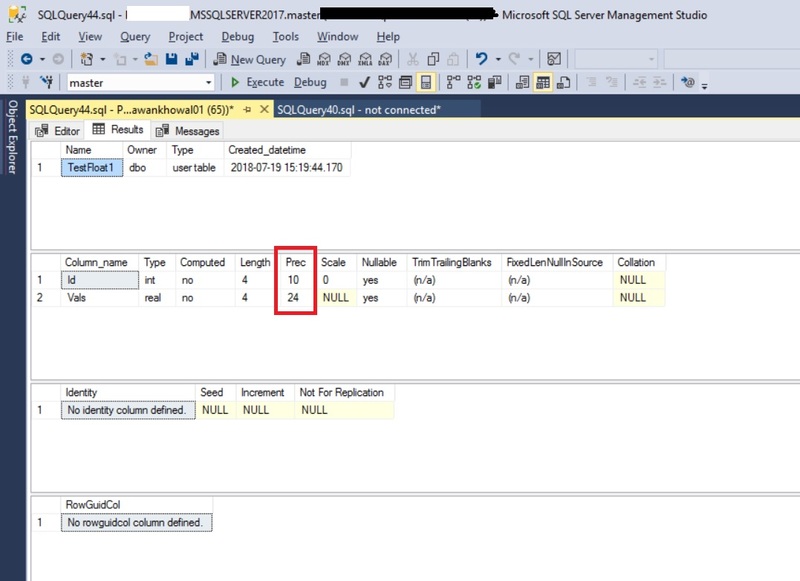 If you specify any value between 1-24 than SQL Server treats n as 24. 2. 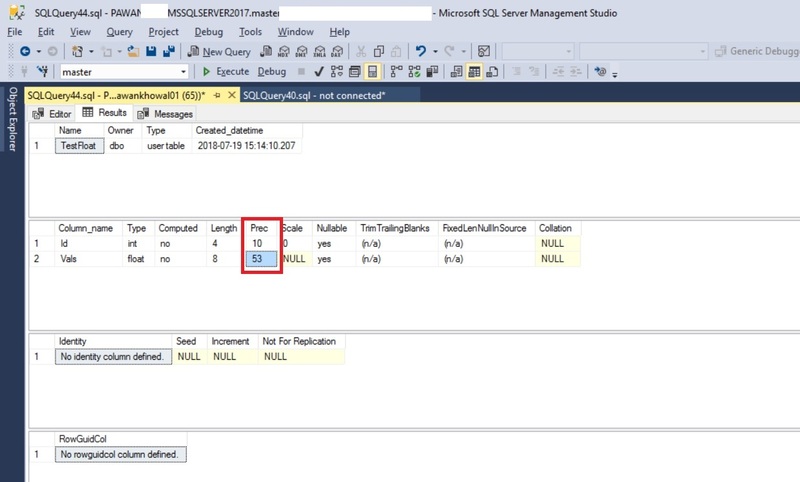 If you specify any value between 25-53 than SQL Server treats n as 53. 3. 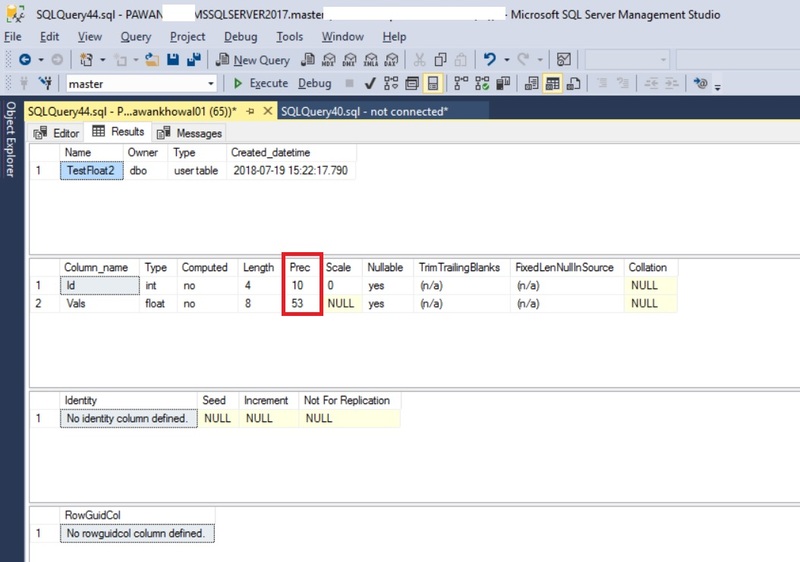 If you don’t specify any value than SQL Server treats n as 53. 4. If you specify n then it must be a value between 1 and 53. Conversion of float values that use scientific notation to decimal or numeric is restricted to values of precision 17 digits only. Any value < 5E-18 rounds down to 0. Here we have specified n value between 1-24 so Prec will be 24. Here we have specified n value between 25-53 so Prec will be 53. In this case we shall get the below Error Message. Msg 2750, Level 16, State 1, Line 34 Column or parameter #2: Specified column precision 54 is greater than the maximum precision of 53. You can read more from below.